Before diving into the results, it’s worth spending a moment on the methodology and data source. 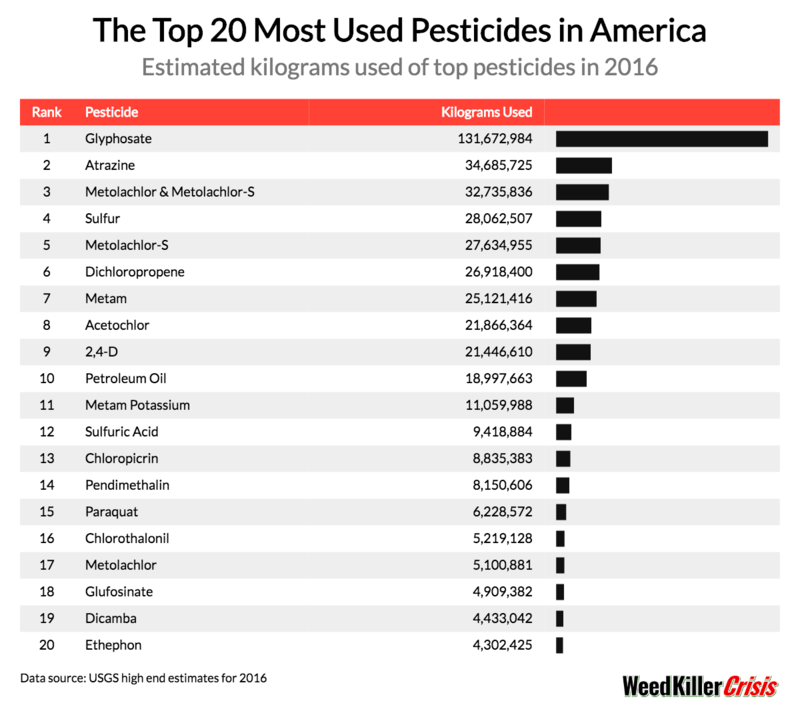 We looked at data from the Pesticide National Synthesis Project published by the USGS, a division of the Department of the Interior that estimates pesticide, herbicide, and fungicide usage in agricultural operations throughout the 48 continental states. 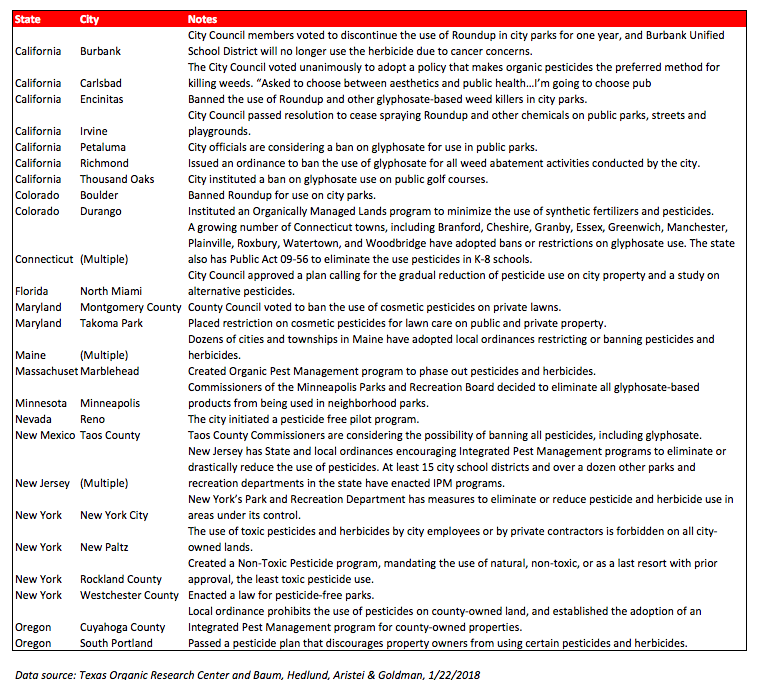 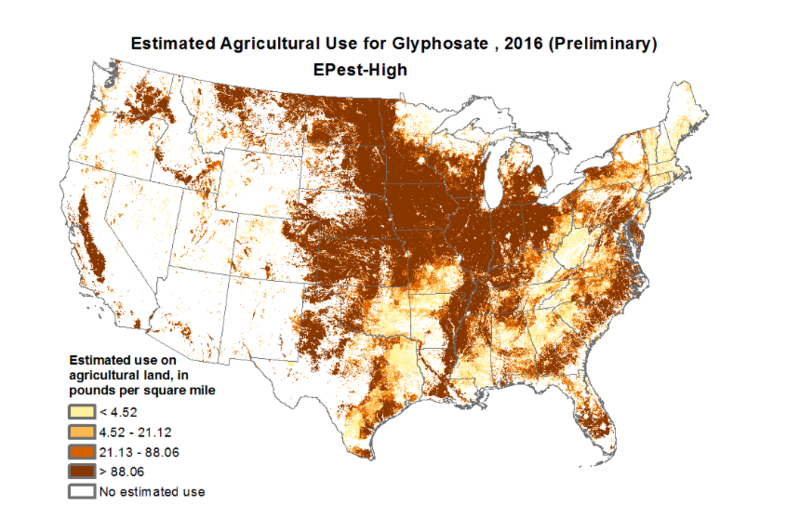 Some of these compounds (like glyphosate) are technically herbicides, but for the purposes of this article, we’re using the term pesticide to cover all such chemicals, as the USGS data does. 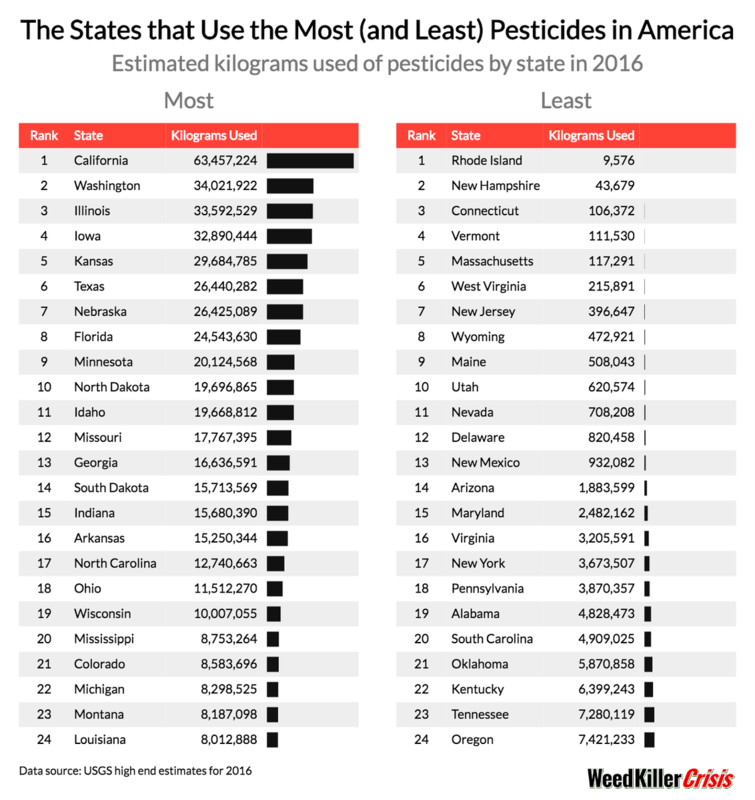 We looked at the most recent data that was available for all states (2016) and used the high-end estimates provided. Where Is Glyphosate Banned in America?